What will wealthy private investigator Cole Sullivan say when he discovers the woman he left years ago is the mother of his twins? 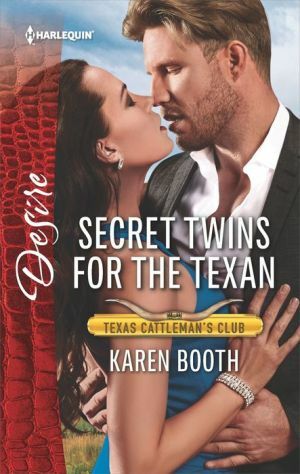 Before Dani Moore can tell him to stay away, they share a searing kiss instead, confirming their explosive chemistry is far from over. But will Cole's own life-or-death secret -- the one that destroyed their relationship -- continue to keep them apart?